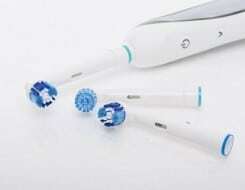 DO remember to brush your teeth twice daily and clean between your teeth daily with floss or an interdental cleaner. DO eat a balanced diet for good overall health, selecting a variety of foods from the five main food groups (breads, cereals, and other grain products; fruits; vegetables; meat, poultry, fish, and alternatives; milk, cheese, and yogurt). And limit snacks. DO see your dentist regularly for a dental exam and professional cleaning – a key to helping prevent tooth decay and periodontal (gum) disease. DO tell your dentist about any medical conditions you have or any medications you are taking – whether prescription or over-the-counter. DO ask your dentist about cosmetic options for improving the appearance of teeth that are stained or chipped. DON’T smoke cigarettes, cigars, a pipe or use tobacco products; they can increase your risk of periodontal disease and cancer of the mouth and throat. DON’T ignore gums that bleed when you brush or floss or changes in the way your teeth fit together when you bite. DON’T chew on hard objects like ice, nuts or pencils that could crack a tooth. DON’T forget to wear a mouth guard when playing active sports.